While the Supreme Court verdict allowing women of all age groups to enter the Sabarimala hill shrine has polarised opinion, the Police Department has its task cut out. KOCHI: While the Supreme Court verdict allowing women of all age groups to enter the Sabarimala hill shrine has polarised opinion, the Police Department has its task cut out. To ensure safety at the Lord Ayyappa temple, the police are resorting to the latest information technology tools. 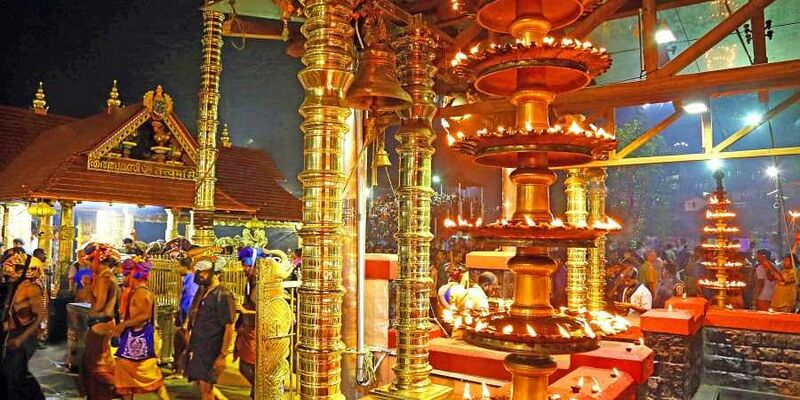 In the latest move, the department is all set to install facial detection cameras (FDC) at Sabarimala to beef up surveillance system. As per the information, the department will install 12 FD cameras at the Sannidanam, Nilakkal and Pampa. The cameras will start functioning by November 18. "The cameras are equipped with artificial intelligence (AI). They can recognise people, who are among a crowd, by identifying faces. To ensure safety, the photographs of wanted people will be uploaded on the system. Whenever a person who is in the wanted list appears before the camera it will detect the person and send popup notifications to the three control rooms at Sabarimala," said IG Manoj Abraham, Cyberdome nodal officer. According to the nodal officer, the FDC can be used to identify people by matching their photographs that are sourced from the social media. “Though face recognition technology is being used in other countries, this is the first time we are implementing it in the state for surveillance purpose. At present we have over 106 cameras at Sabarimala and it is difficult for the person who is sitting in the control room to monitor the movement of people. Since AI is being used in the cameras, human interference in monitoring the movement of people can be reduced,” the IG said. The department is implementing the project by associating with KELTRON and has spent around Rs 1.35 crore on incorporating the latest technology. “Since Sabarimala is a terrain, we cannot install the FDC everywhere. It can be installed only on a flat surface where the faces of people will be captured on the cameras. In the second phase, more such cameras will be added,” he said. He also said the system could be used to give extra security to VVIPs. “Once we upload their data on the system, we can watch their movement through the AFT cameras. This will add to their security,” said the IG.